Warm salads need to be more of a thing!! 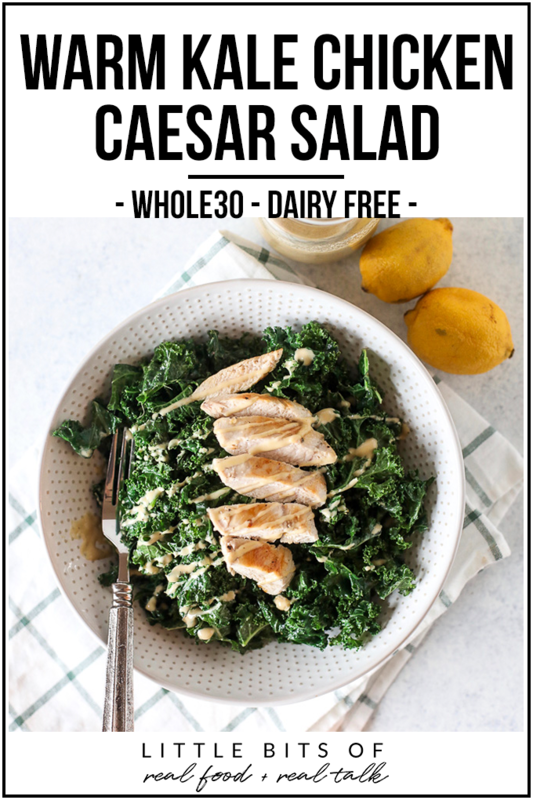 I saute greens all the time and top them with whatever protein we have on hand so I thought it was time to make one of my favorite salads into a warm one. One important component of Caesar salad is anchovy!! Don’t be scared, i go with the paste version so you don’t have to pick up little fishies. But it is necessary and usually near the canned fish in the grocery store, or you can get it on amazon! The umami of the anchovy makes this dressing so delicious and taste like your steak house favorite. 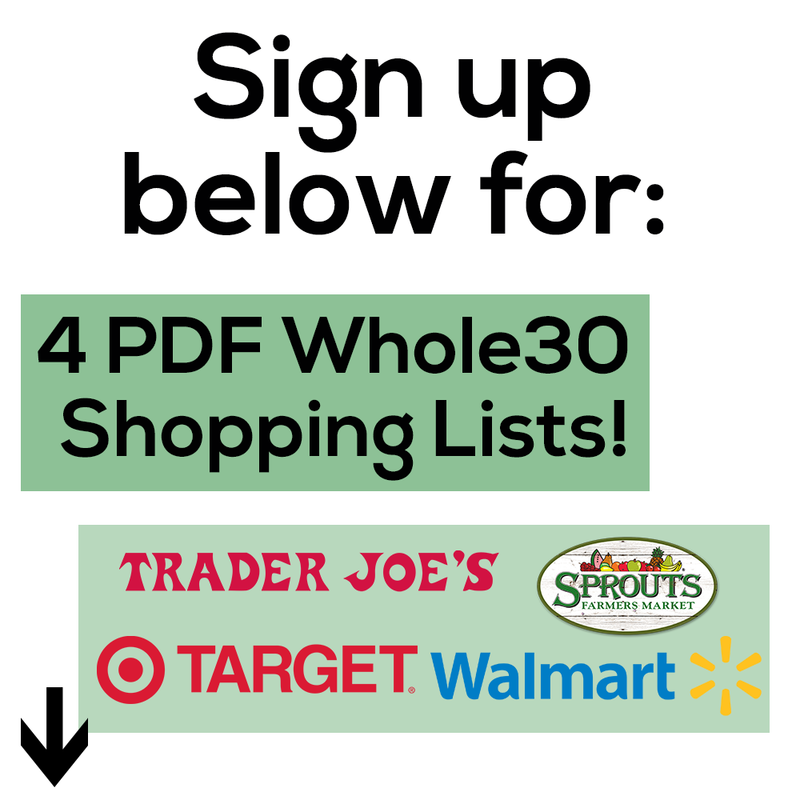 #1 rule of making this salad – don’t be afraid of kale!! 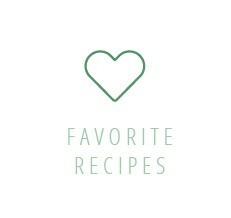 It might not be your first pick when it comes to salads but trust me, it’s perfect in this one! It holds up to heat better than any green and stays in the fridge well if you have leftovers. 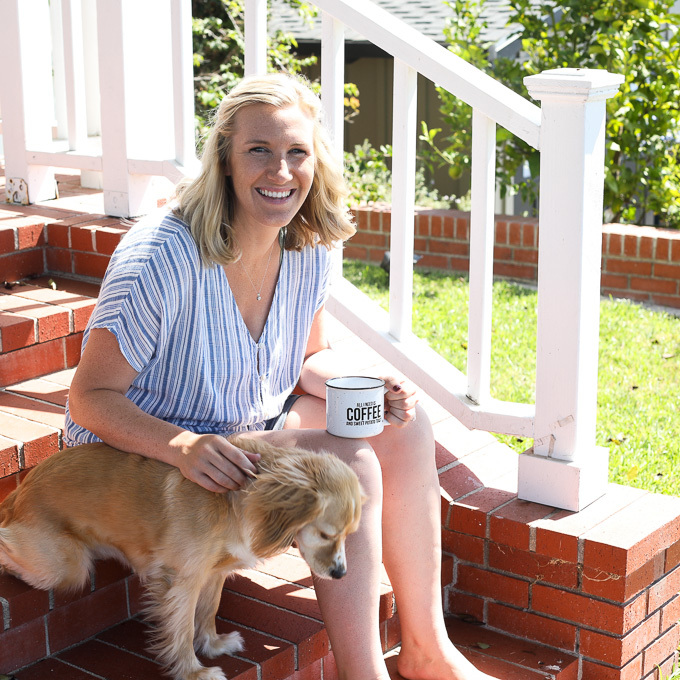 So perfect on cold and rainy days like we are having this week! The extra drizzle of dressing at the end is necessary!! 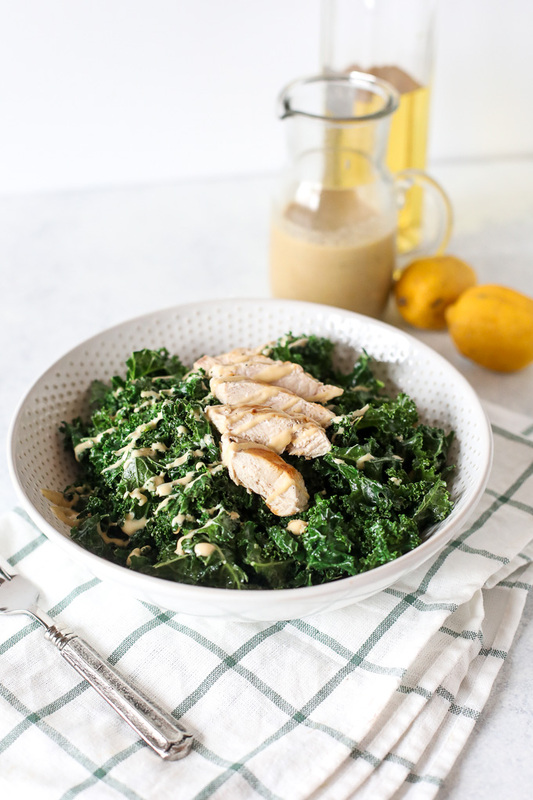 To save this Warm Kale Chicken Caesar Salad recipe for later, pin the image below! Pick leaves away from the stem of the kale leaves. 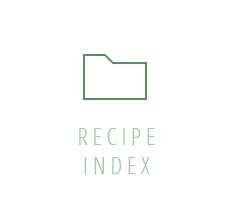 With an immersion blender, blend together all dressing ingredients: Mayonnaise, Avocado Oil, garlic powder, lemon juice, coconut aminos, Dijon mustard, nutritional yeast, anchovy, pinch of salt and pepper until smooth. 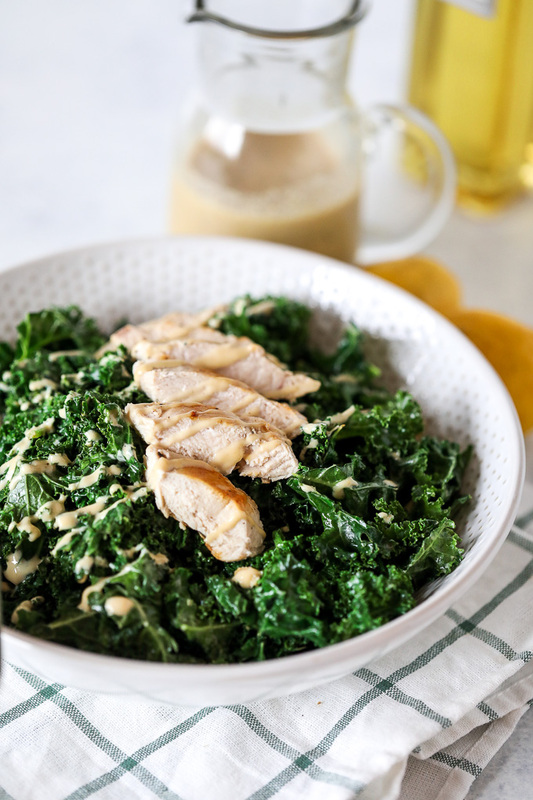 Pour roughly 6 tablespoons of the dressing over the kale in a large bowl and massage dressing into the kale leaves until evenly distributed and softened slightly. Set aside. Slice each raw chicken breast in half & sprinkle with salt and pepper and cook chicken on stove top over medium high heat, 3 minutes on each side. Until internal temperature reaches at least 165 degrees. Warm/wilt Kale in a separate pan on the stovetop for roughly 1 minute and 30 seconds. (Until the kale has wilted by about half the size). 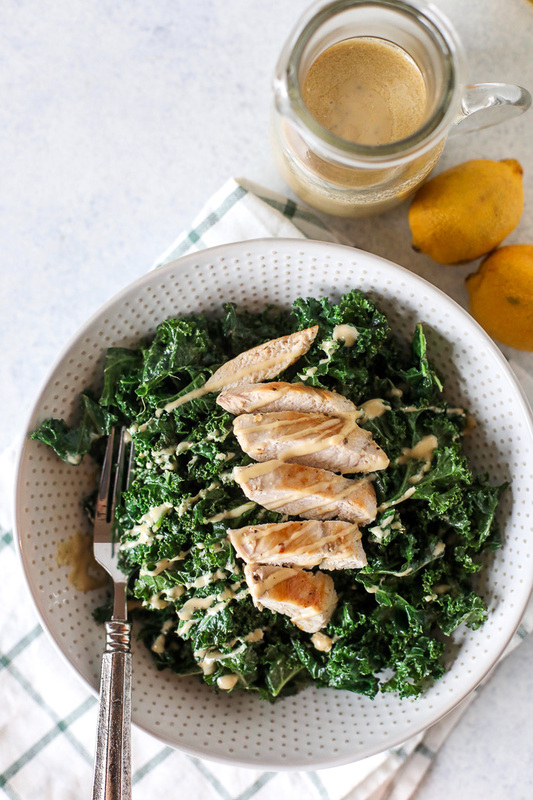 Place kale in bowls and slice each chicken breast into strips. 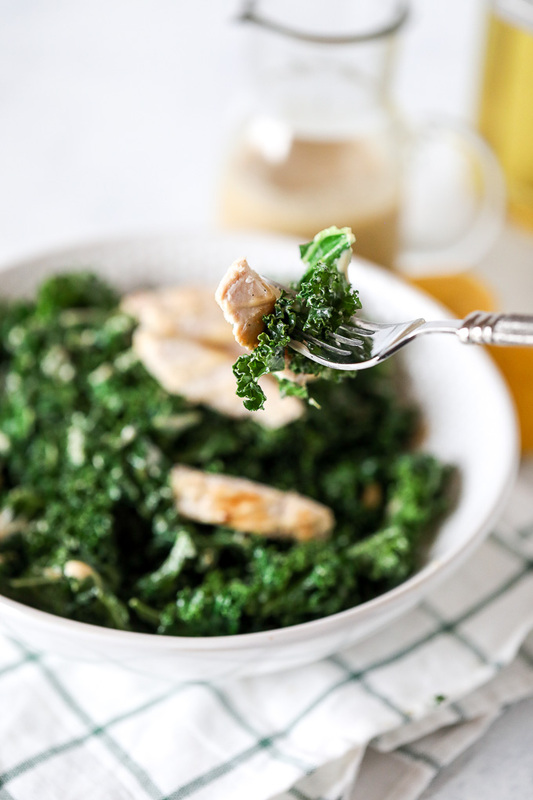 Place chicken on top of kale and drizzle with additional dressing to top to taste. There may be leftover dressing, store it in the fridge for up to 2 weeks!